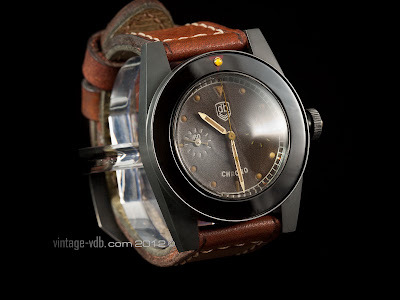 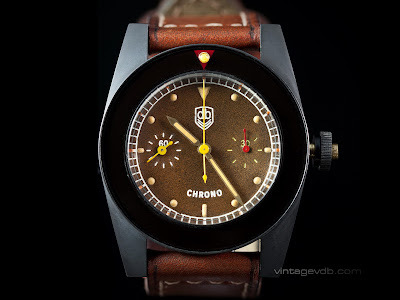 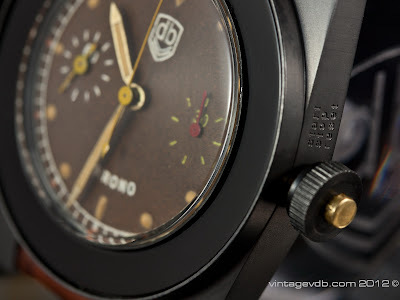 By TLex INTRODUCING the VintageVDB Military CHRONO. VDB's first ever chronograph model! 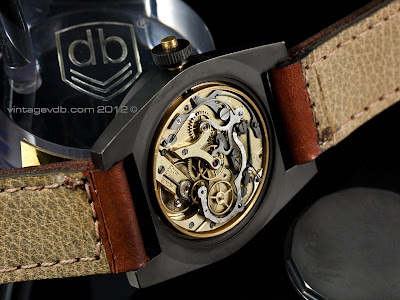 It utilizes an old school military style mono-pusher to activate its vintage Lemania caliber, so that's: start, stop and reset via a single button at the center of the crown as indicated by the engraving on the side of the case just above the crown - cool! Further features of this special watch include: a 50mm military style case fitted with a large plexiglass domed crystal. The dial is with gold hands, two sub-dials, 'VDB' logo and signature vintage-style degraded luminous paint. 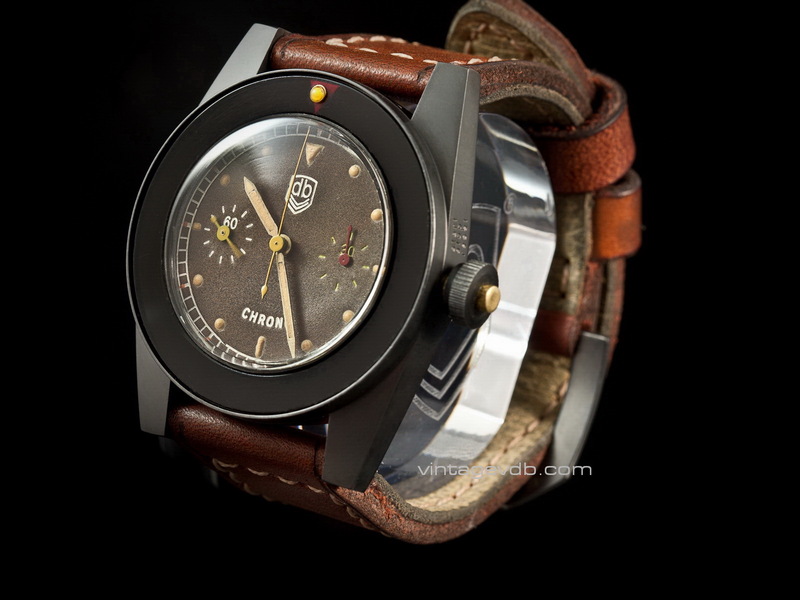 The watch is presented on a hand-sewn leather strap.